Home » » Blog » Chickens can’t swim…. Neither can they float. If a chicken falls into any container holding water or wanders into a pothole full of rainwater it will sink like a brick as their feathers are not waterproofed and it literally only takes seconds for a chicken to drown. I feel it is necessary to bring up this subject now because of all the flood warnings and indeed the actual flooding that is happening in some places around the country. 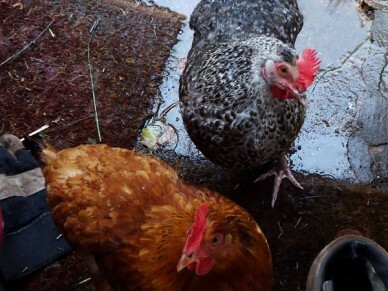 If you are unfortunate enough to be living in an area that has a flood warning in place then whilst you are taking the necessary precautions for your household please remember to do the same for your chickens. 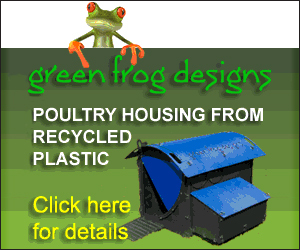 Moving housing to higher ground is probably only an option for the smallest of flocks but if you have the luxury of being able to move your birds to the safety of a barn, or possibly to live with friends or relatives until the weather improves, then you should do so as soon as possible. As a last resort you may even consider bringing them into a garage or unused room in the house. Obviously you will need to keep them constantly cleaned in this scenario but include a box lined with shredded newspaper and a radio tuned to Classic FM and they will be happy enough. You may laugh, as many have done, but it has been shown that classical music does keep the birds calm, as members of the http://www.ex-battery-hens.com/ forum will testify.